Sumptuous deep, triple frilled, wedding parasol and fashion umbrella. The LuLu is fully automatic opening and comes with a black metal frame and eight strong, light and flexible fibreglass ribs. Check it out today! 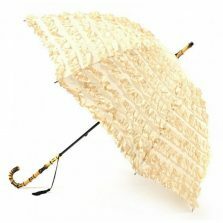 Featuring a black leather effect crook handle and tassel. Rounded metal spoke tips. 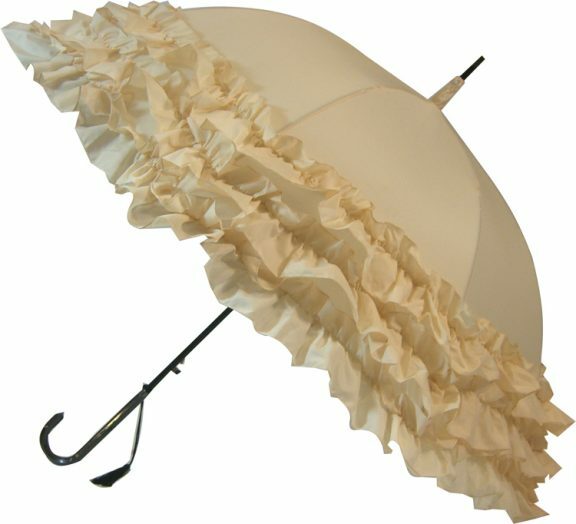 These umbrellas are perfect for all classy occasions and venues. 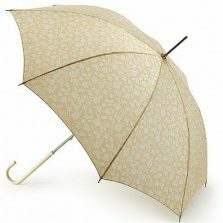 Equally effective as a sunshade and an umbrella. 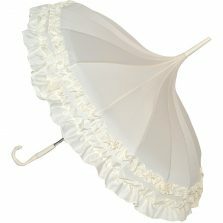 This wedding parasol makes the perfect addition to your special day, either as a cosmetic accessory or a functional fashion umbrella, the LuLu is sure to make your big day that little bit more special! 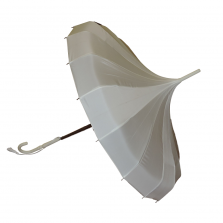 Length is 90 cm and the huge canopy is 98 cm wide.